If you're a regular reader then you'll know that I love the toner stage of my skincare routine, or more specifically the acid toning part. 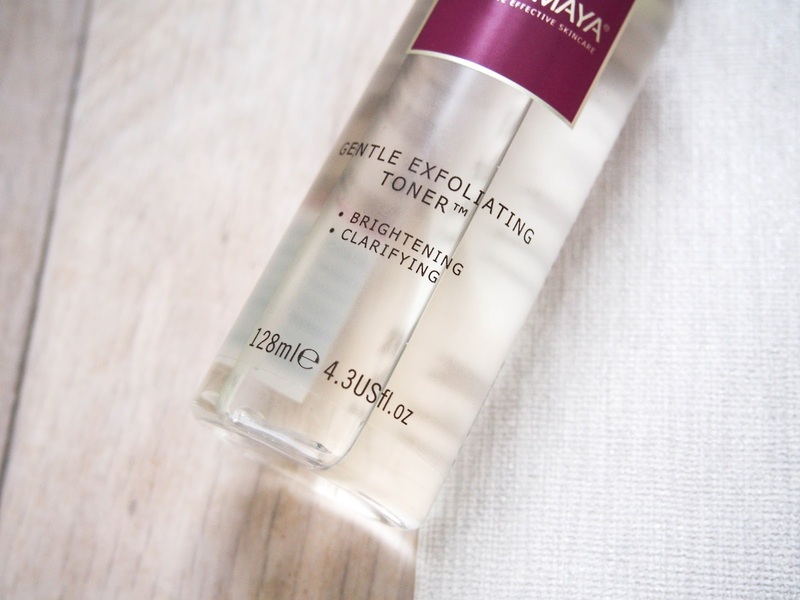 After exfoliating or cleansing morning and night, the most important part is to tone immediately afterwards, to get all the goodness from the toner into your open pores. When it comes to Acid toning, for me it's important to balance my skin and not over tone with harsh chemicals, however at the same time get the most out of its liquid exfoliating properties. 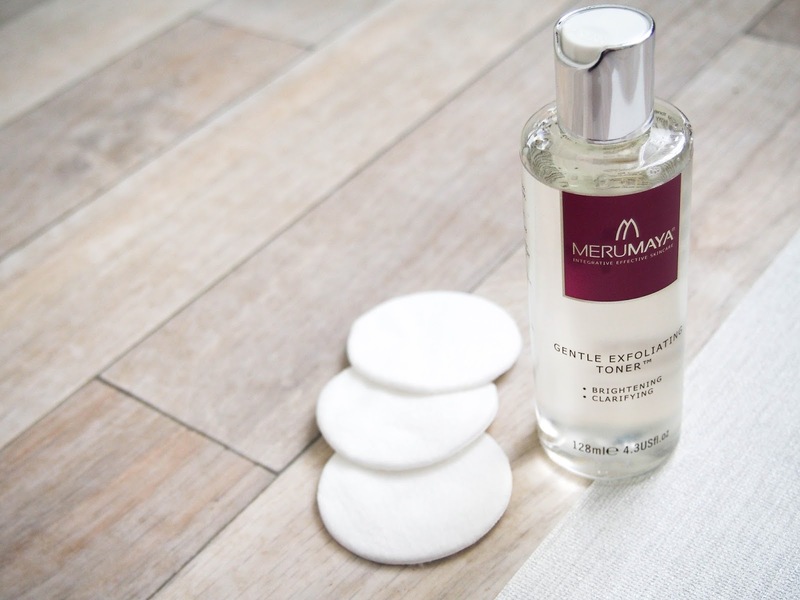 Recently I've been trying out Merumaya's newly launched Gentle Exfoliating Toner; their new high performance, Natural AHA toner with the Merumaya difference. What's your current go-to toner? My regular toning routine is just simply a swipe all around the face with a cotton pad, then to finish I spray my face with a hydrating toner to lock in the goodness. 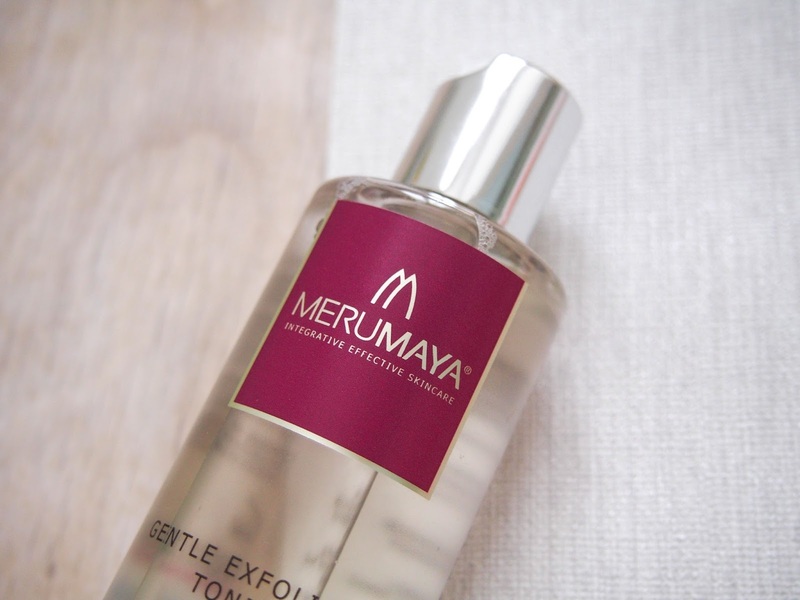 Over the last week I've been exclusively using Merumaya's Gentle Exfoliating Toner* in order to see just how it changes and/or affects my skin in the place of my regular ones. I've definitely noticed a significant smoothness and freshness after use, and as the bottle promises you do feel fabulous. Ingredients wise, you can't go wrong with AHA's (Alpha Hydroxy Acids) their benefits include removal of dry skin, a more even skin tone and easy, more effective application of your next products. On the less technical side of things, the smell of this toner is utterly delightful, it's not like some others that just smell of a complete chemical bomb; this really makes you feel confident that you're using something truly beneficial. There are also anti ageing qualities to this toner thanks to the Hyaluronic Acid, giving a healthier more youthful glow to the skin. Looks wise, I love the bottles matt finish and the top of the bottles design makes it so easy to distribute onto a cotton pad and you won't waste any precious liquid! I'm a huge fan of Merumaya and their message, which recently is becoming more and more important. #Beautyhasnoage has been Merumaya's tag line for quite some time inspiring women everywhere, check out the video below where Maleka explains a little into it's prominence to her brand. What do you think of Merumaya's new toner? What Merumaya products have you tried? *This post contains a press gifted item, for more info please visit my disclaimer page.